Perennial shrub. Evergreen in mild climates. 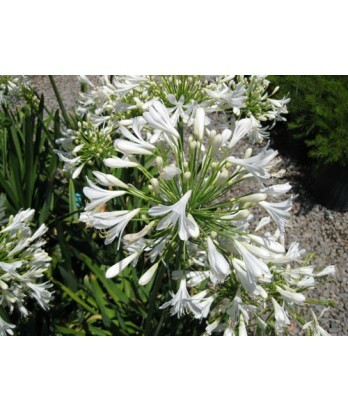 White flowers held in tight clusters on tall stalks. Lush strap-like foliage is bright green. Great for borders and containers. Split to propagate if they become overcrowded. Low to regular water needs once established.